Mold growth in the winter is dangerous as any other mold growth. The only difference is that mold spores can grow more during the winter cold weather. Winter mold growth happens because our modern homes are sealed up to protect us from the cold but that makes our homes more vulnerable to moisture and humidity problems that help winter mold thrive in our homes. A sign you have a major mold problem is smelling a musty odor. This musty odor comes from trapped moisture in the home. To protect your home from mold, you need to keep humidity and moisture under control. The home cannot be too cold or too warm. Here at AquaBright, we can protect your home and family from winter mold growth with mold remediation services from certified mold technicians. We will identify the best way to keep your home humidity under control. We will strategically set up dehumidifiers to reduce condensation levels in your home. We will clean your ductwork and filters to ensure quality indoor air. Mold spores are present in all indoor and outdoors environments. It’s our responsibility to make sure those mold spores don’t turn into major mold problems. We are here to monitor your indoor environment so we can protect your home integrity. 1. Purchase area rugs rather than have carpet installed. Area rugs can always be washed to keep mold spores from growing. 2. Don’t store items such as paper and clothes in humid areas of your home. 3. Protect your roof and home foundation from water build up. 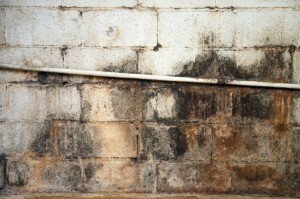 Mold is a major threat to your quality of home living. Mold can kill family pets and make family members very ill. Although the fungus can grow year round, there are ways to keep mold growth under control. Remove moisture, limit warmth and reduce food supply for mold spores. If you smell a musty odor, see discoloring throughout your home or see visible mold, you need to hire a certified mold remediation company. Anytime water removal and remediation services are concluded, we always inform our client about the project completion and schedule testing/ inspections to ensure all water and mold problems have been removed from your property. If there are still problems (within a designated time period, after water removal or mold remediation), we will come back to your property to conduct remediation or extract water again without charge. Our technicians are always helpful and professional no matter how complex or tough your water problems or mold problems may be. For more information about outdoor lighting in Maryland, call Aqua-Bright today at 410-489-9009 or take a tour through our brand new website! This entry was posted on Thursday, January 30th, 2014	at 9:13 pm	. You can follow any responses to this entry through the RSS 2.0	feed. Both comments and pings are currently closed.